Kids' Party Entertainments > Saving Lives! Robert Renteria has become an international symbol of hope and success. Through his own life experiences, he has been able to show through education, determination, perseverance and hard work you truly can propel yourself to heights never imagined. Today, as a civic and business leader, Robert continues his quest to instill in others a strong desire to succeed and to show by example that you absolutely can realize your dreams. As society evolves, he is continuously seeing new ways to apply his principles to life and business circumstances. 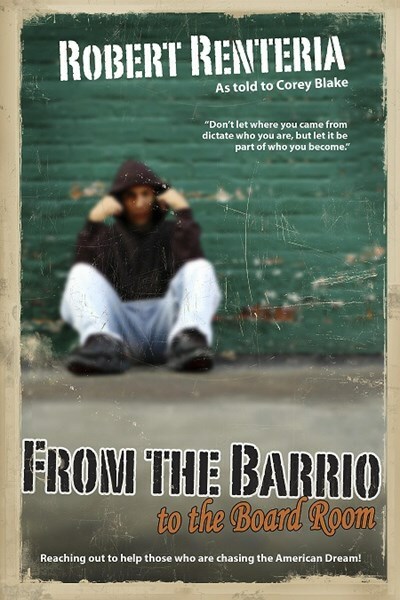 Robert is also an international award winning Latino author who's books "From the Barrio to the Board Room, Mi Barrio and Little Barrio" are being taught in classrooms and businesses across America and currently in over 200 other countries globally. 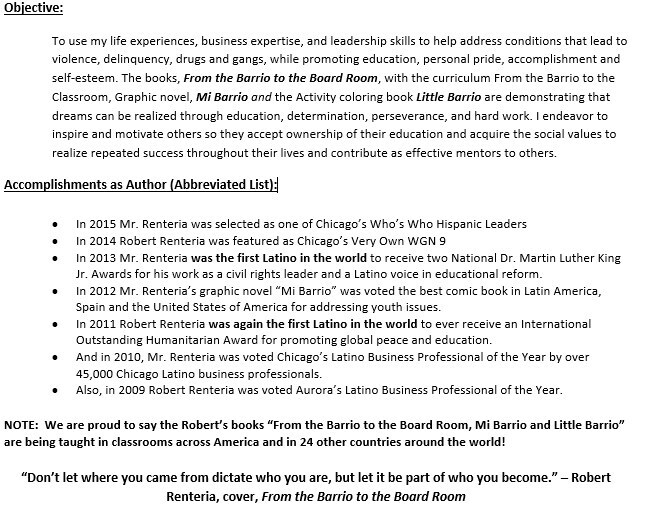 In 2013 Mr. Renteria was the first Latino in the world to ever receive two Dr. Martin Luther King JR. Awards for his work as a civil rights leader and a Latino voice in educational reform. In 2011 Robert Renteria was again the first Latino in the world to receive an International Outstanding Humanitarian Award for promoting global peace and education. Additionally, in 2010 Robert was voted Chicago's Latino business professional of the year by over 45,000 Chicago business professionals. Robert's experience as a featured speaker has motivated and inspired middle schools and high schools, colleges, universities, jails, prisons, churches, non for profits organizations, special events, corporations and also conferences with audiences ranging from 100 to 10,000 people. Please note Saving Lives! will also travel to Cicero, Berwyn, Oak Park, Forest Park, Hines, Lyons, Riverside, Brookfield, Maywood, River Forest, Summit Argo, Carol Stream, La Grange Park, Bellwood, Bedford Park, Melrose Park, Westchester, Burbank, Bridgeview, Hillside, Hinsdale, Hometown, La Grange, River Grove, Stone Park, Western Springs, Berkeley, Franklin Park, Justice, Norridge.